Our first ride of the 2018 summer season. Leaving Hatfield town centre at 11:00, we will ride via the Alban Way, Mill Green to the Cole Green Way. Riders from Welwyn Garden City can join us here at 11:30. We then cycle on to Hertford and past the New River (not new and not a river!) to Ware to visit Scott’s Grotto. There and back is just under 25 miles. The ride is free but you’ll need money for lunch and the £1.00 suggested donation for the Grotto. You’ll also need a lock to secure your bike whilst we are inside. The ride is mostly off road but does include some on road riding in Welwyn Garden City, Hertford and Ware, so not suitable for the youngest riders. The Grotto opens at 14:00, so we will stop for lunch in Hertford, ideally at the new Serendipity cafe which is due to open on this day and then continue on to Ware. Our ride back from Ware will be after 15:00, so expect to be back to Hatfield not later than 17:00. 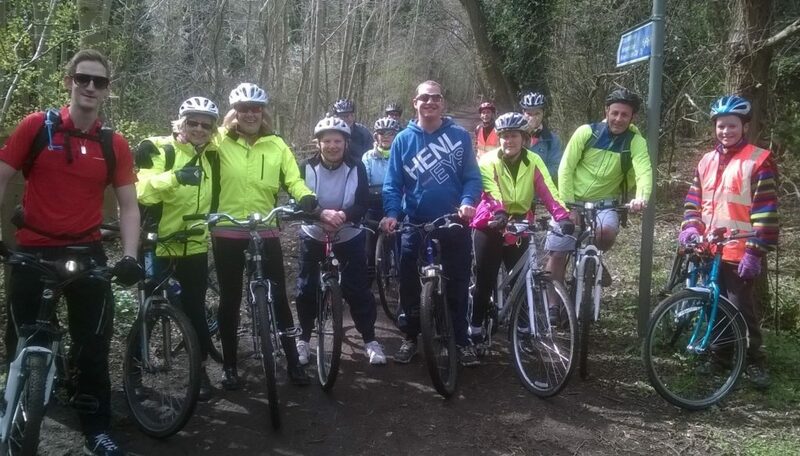 The photo is of our 2015 ride to Hertford. One person in the picture is now considerably taller!